LOCKING HUB, RUGGED RIDGE, 42-71CJ, M38A1, WILLYS, 66-71 JEEPSTER C101COMMANDO, ALL YEARS UP TO 73 WAGONEER, 60-71 SCOUT - Jeep Parts Guy - All the Jeep Parts You Need! 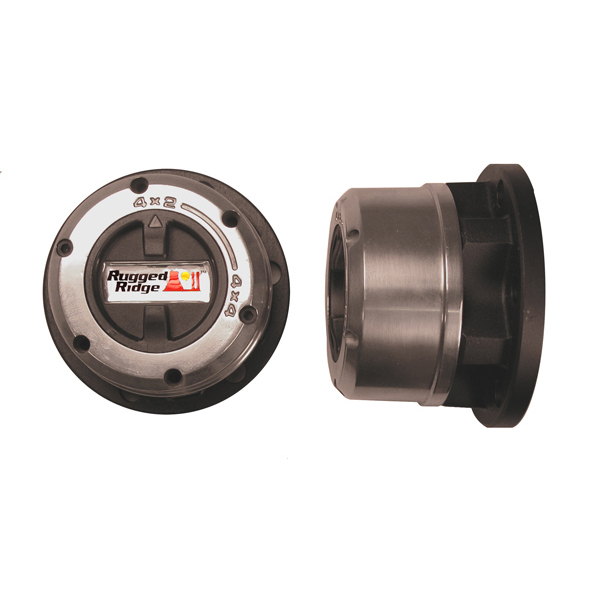 Approved as original equipment by vehicle manufacturers and militaries world wide, these tough hubs are built to last. A hardened nylon center is used instead of metal to keep you moving in the rare case of a hub failure. center is used instead of metal to keep you moving in the rare case of a hub failure.